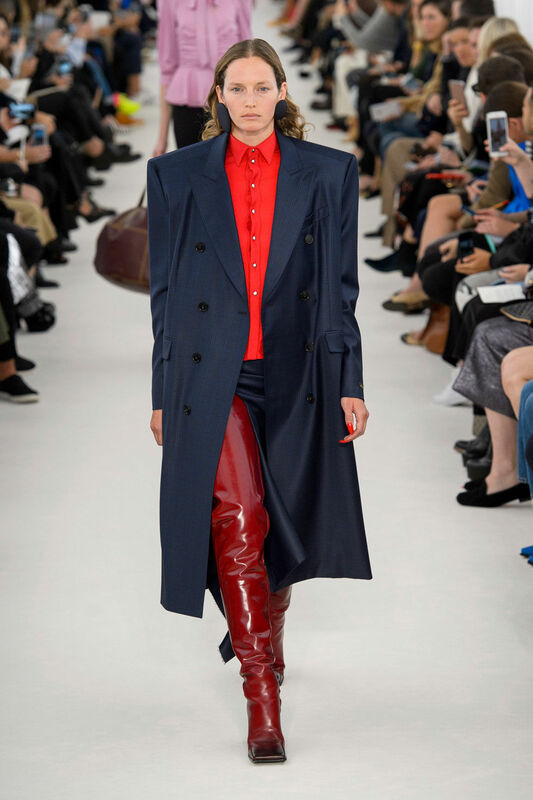 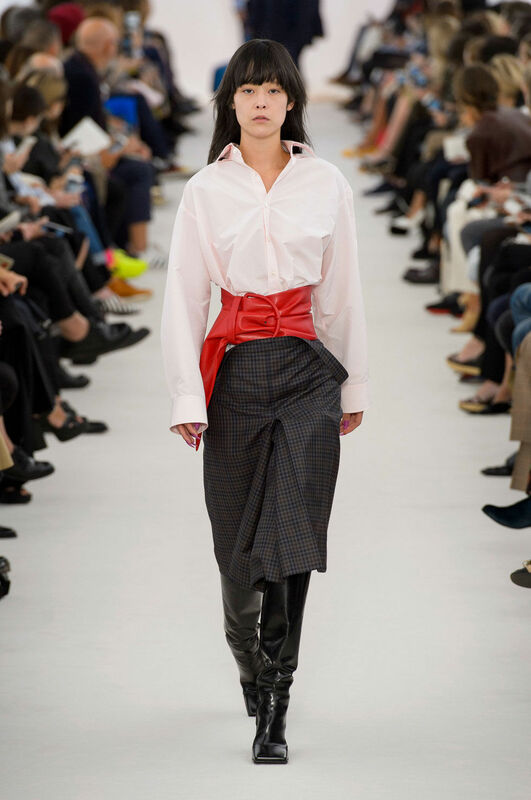 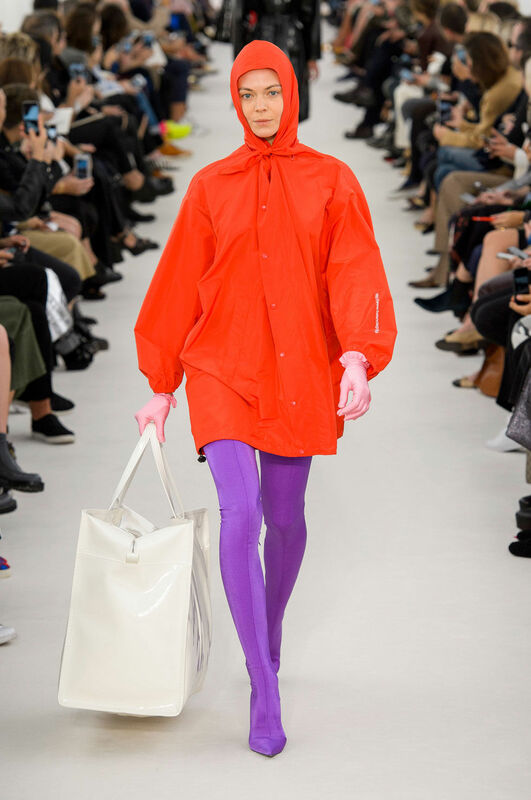 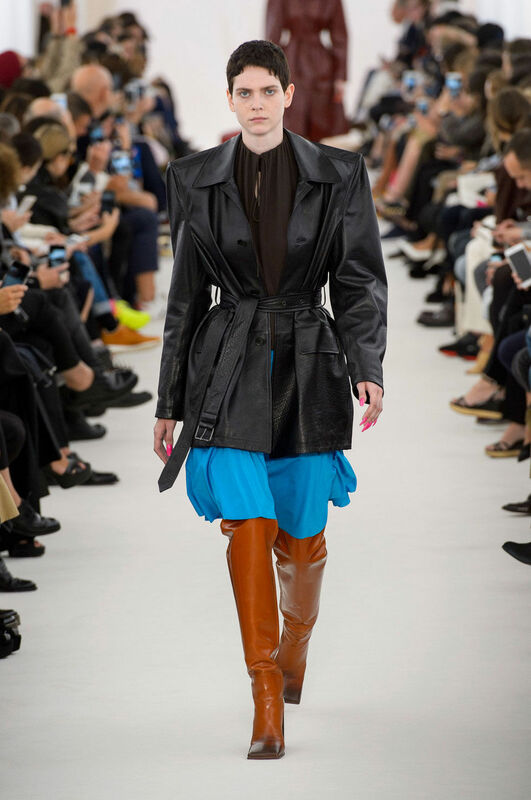 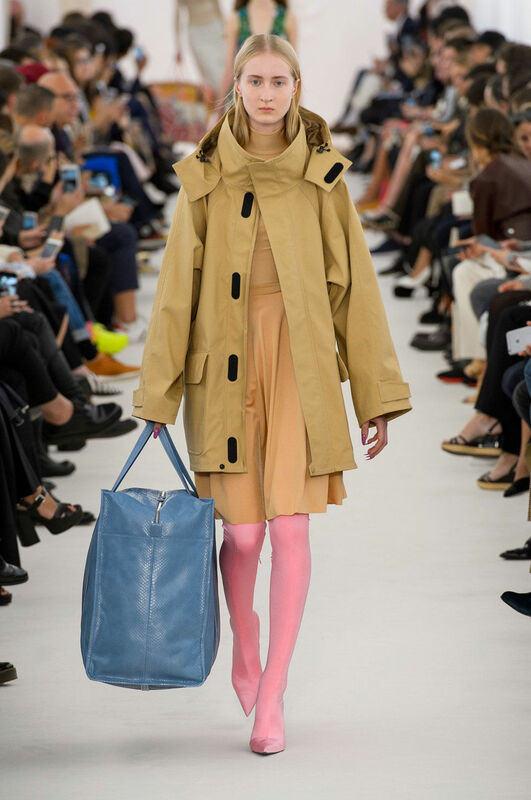 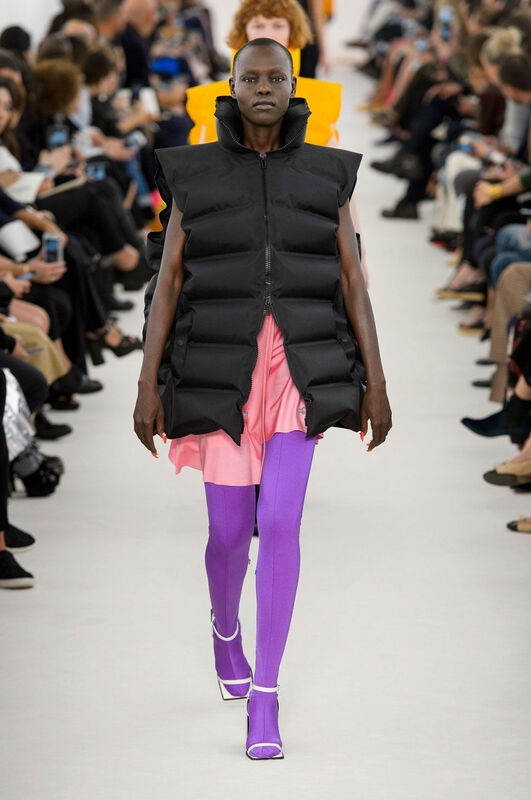 Creative director of Balenciaga fashion house, Demna Gvasalia introduced his Spring/Summer 2017 collection on Paris Fashion Week and increasingly emphasized fashion fetishism. 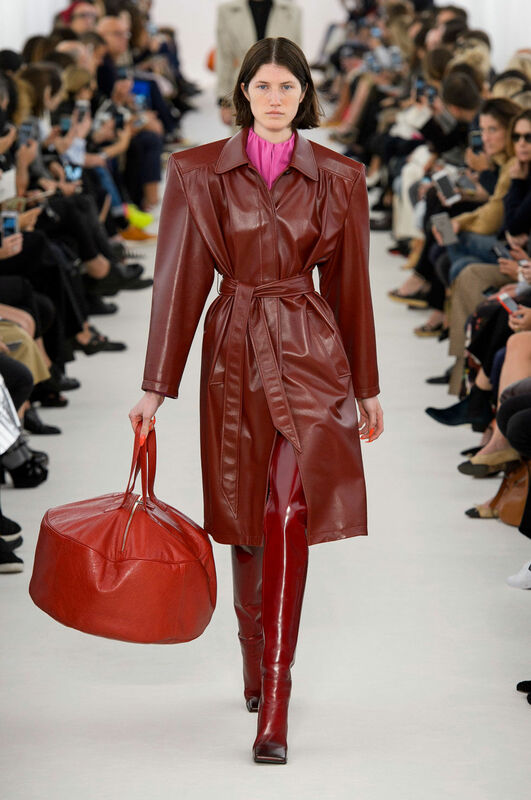 It should be noted that while working on a new collection, before creative process begins, designer carefully analyzes the topic, researches it and only after that starts creating. 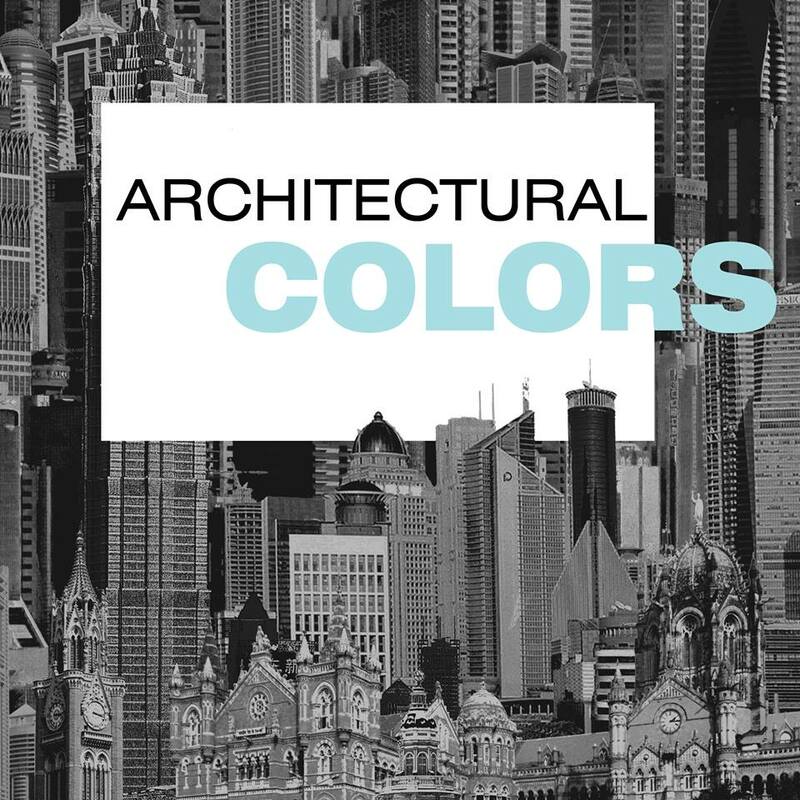 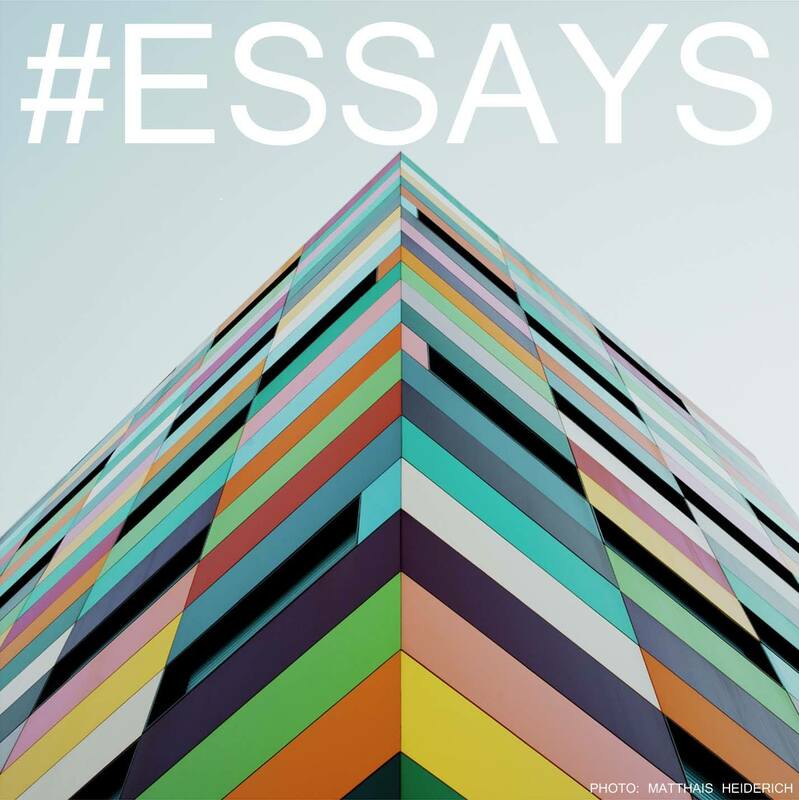 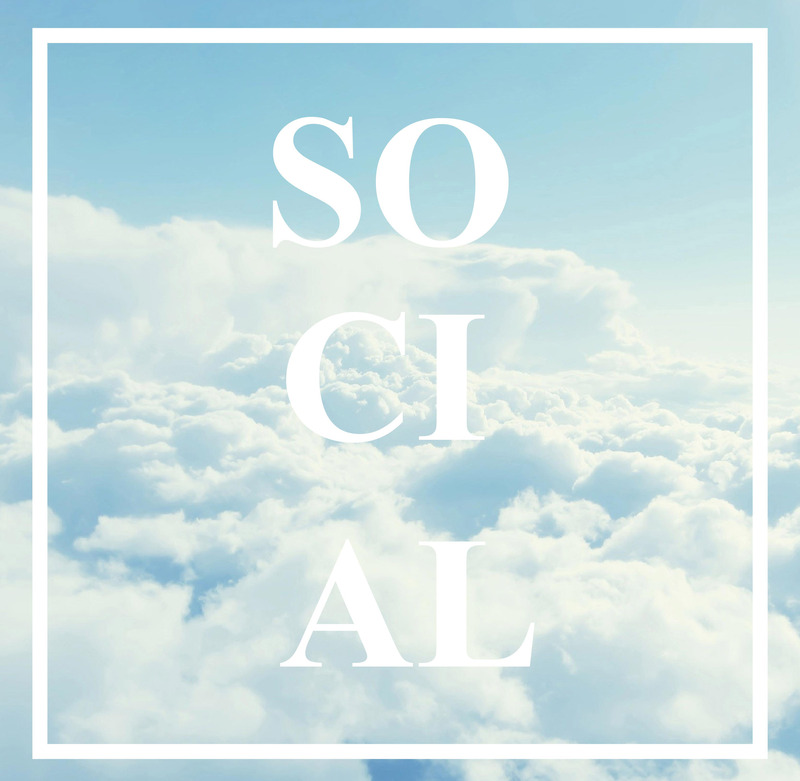 Comprehensive knowledge of the topic can be one of the reasons why his work is so remarkable and always in the center of attention. 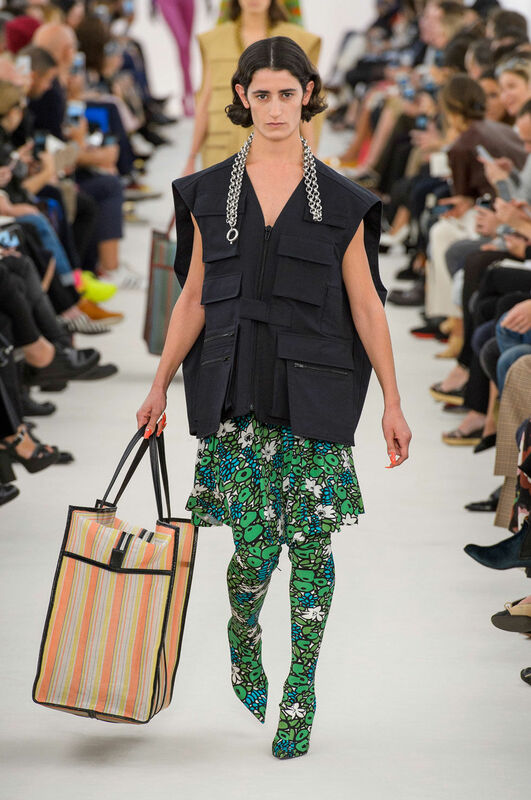 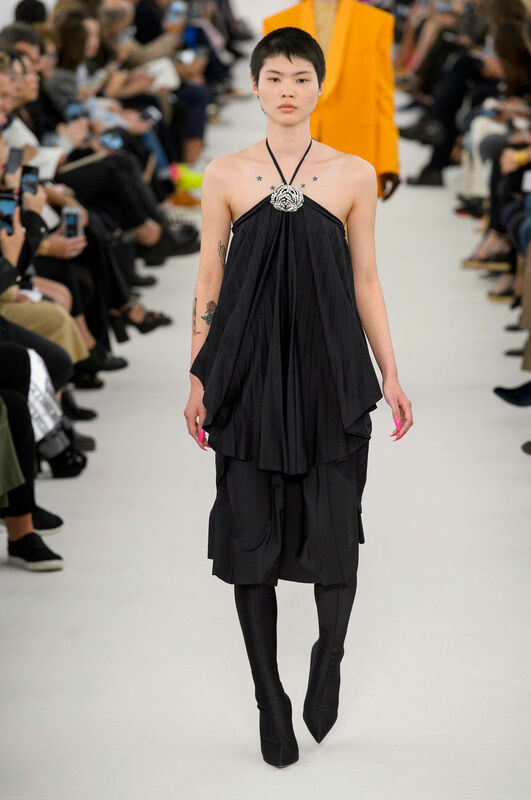 In this collection Demna was trying to find out what drives buyers to purchase new clothes, what is the basis for the fashion fetishism. 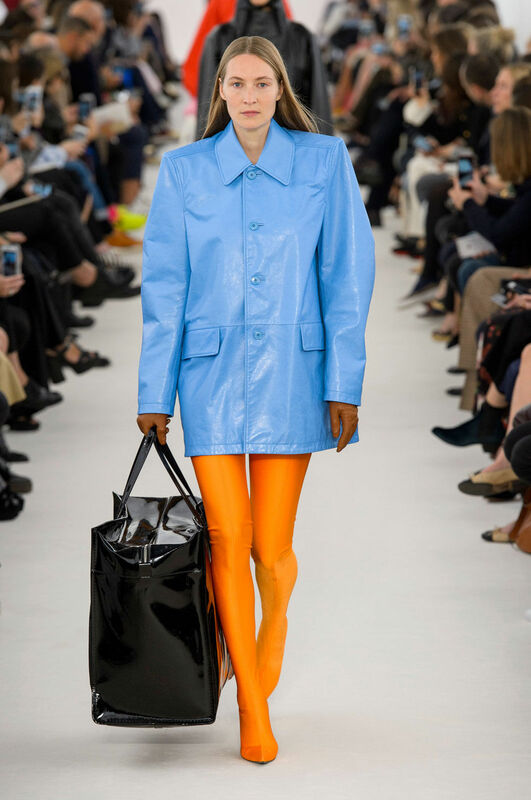 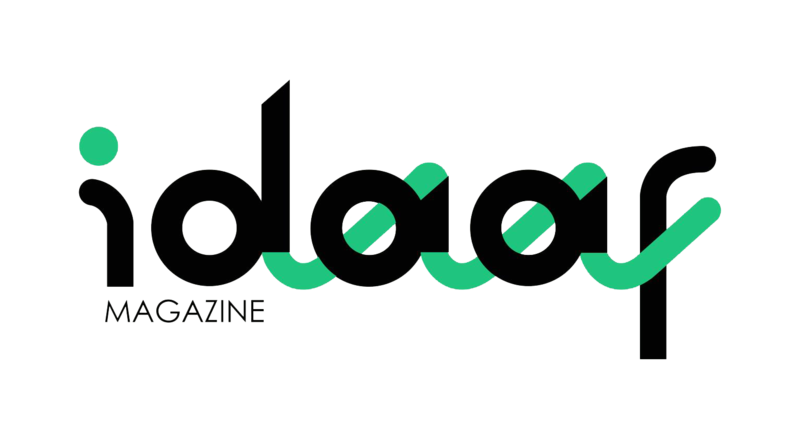 He used spandex, synthetic stretchable fabric; it’s easy to work with, takes well intense color and print, but over the years the fashion industry hasn’t favored this material very much; it is mainly used for sports clothing. 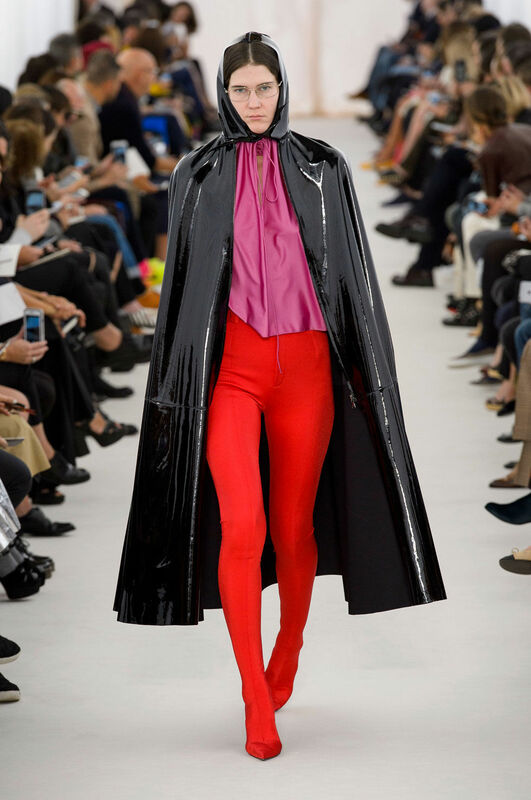 Using spandex in this new work had some certain risks, but Gvasalia could properly demonstrate it and interest critics. 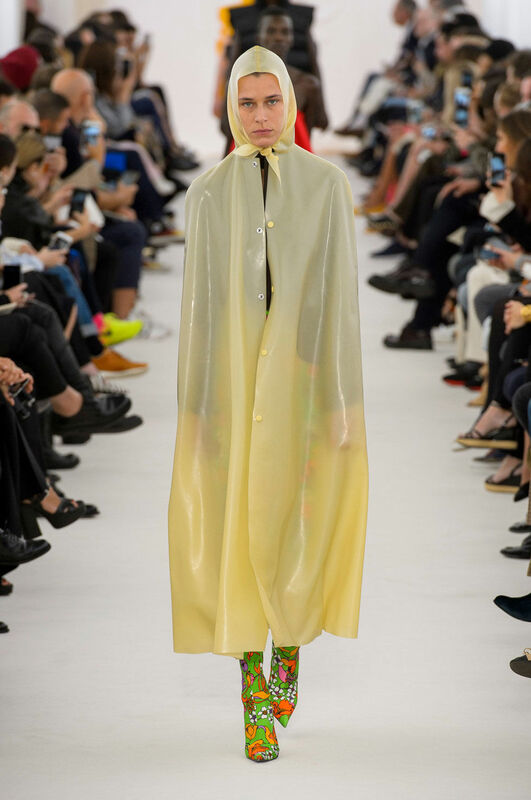 While researching the topic designer found that spandex and Cristobal Balenciaga’s signature fabric, silk “organza ganza” both were created in 1958. 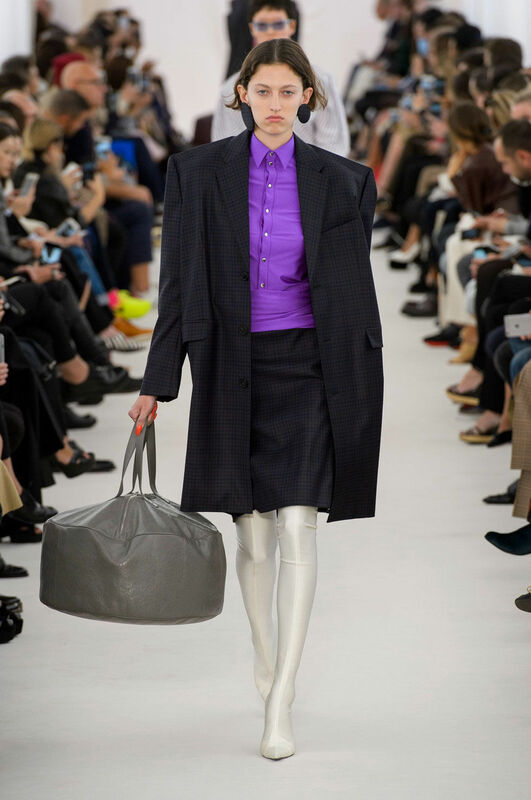 This was the reason for the inclusion of elements of Synchronicity in the collection. 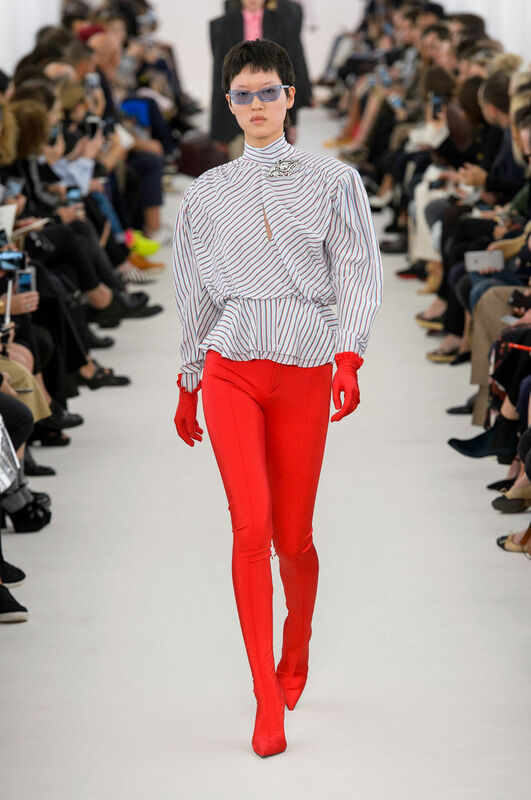 The whole show is kind of dedication to the legendary designer, whether it’s jewelry or the style that Balenciaga used over the time. 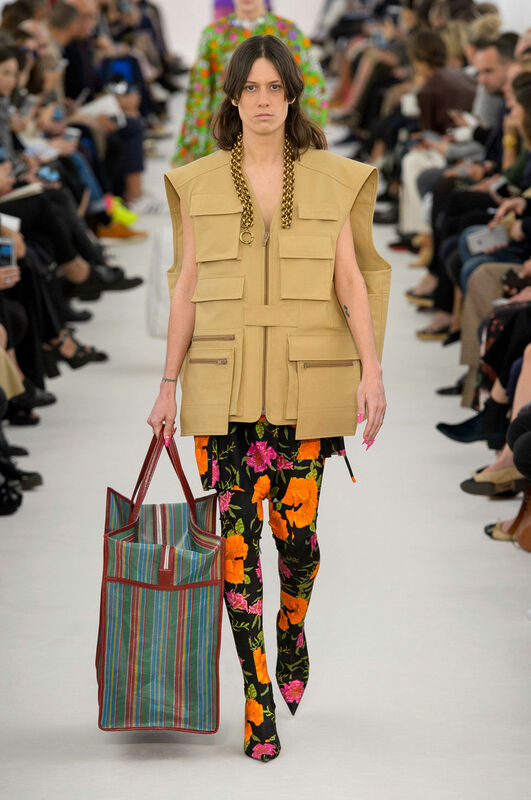 But the collection is still accompanied with something “Demnaism” that always stands out from other. 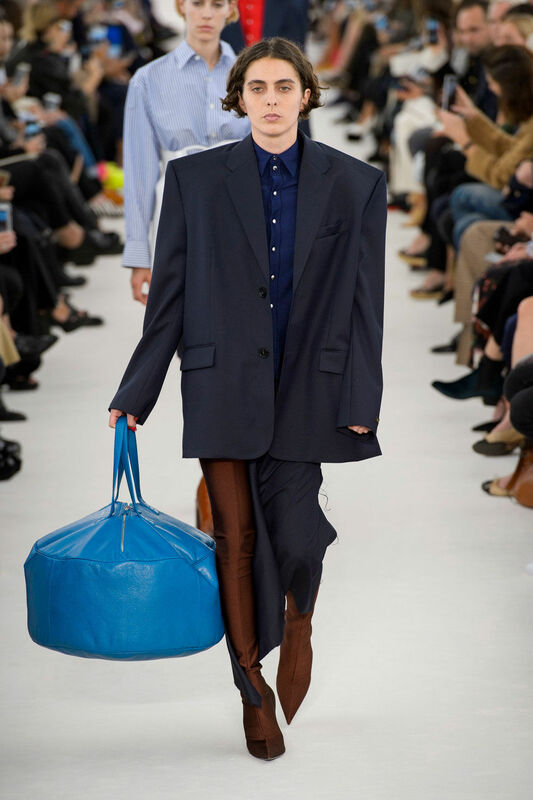 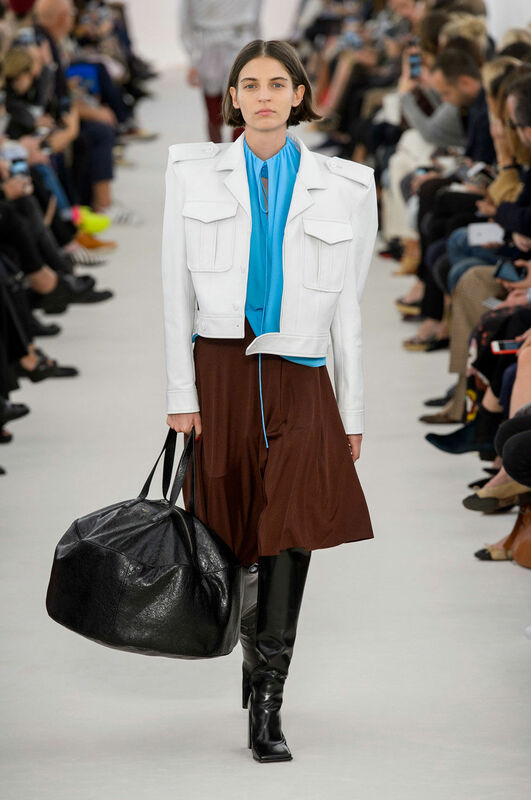 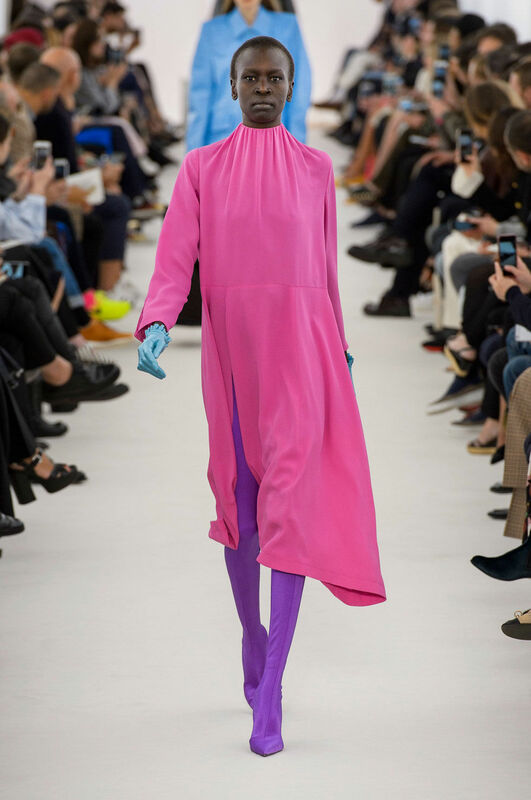 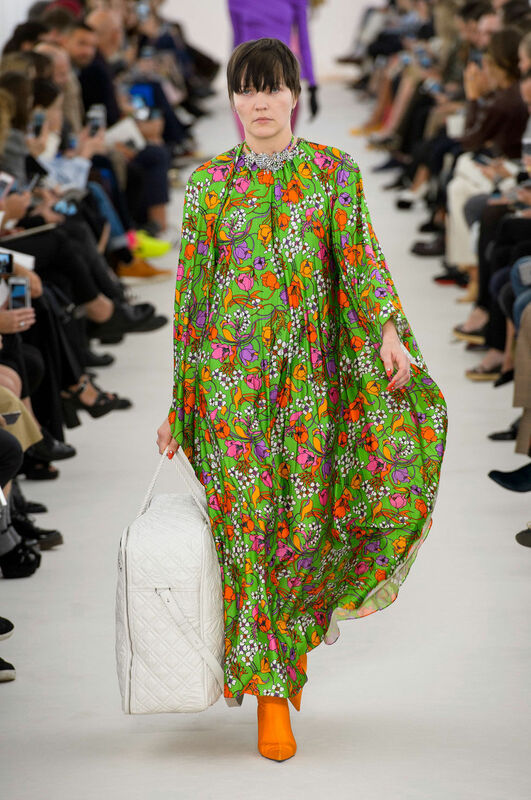 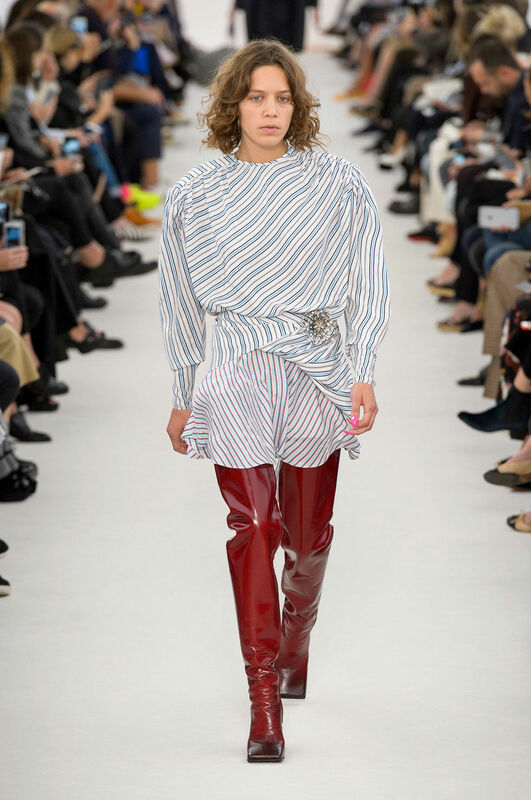 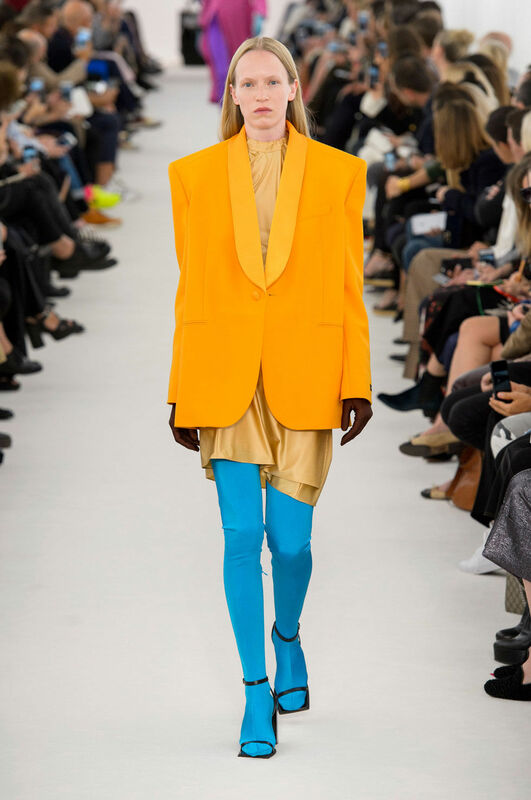 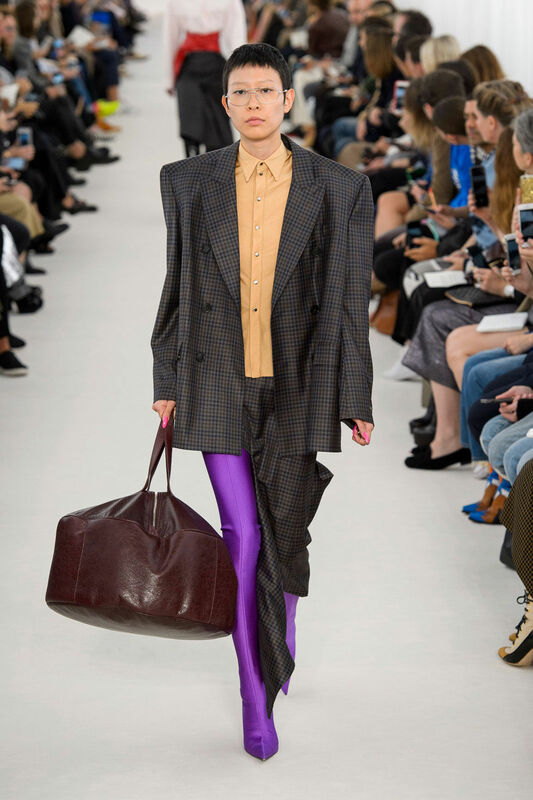 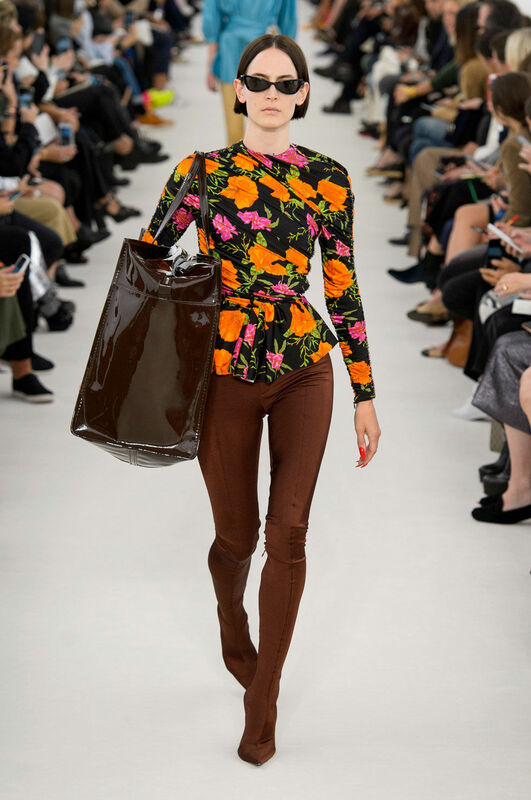 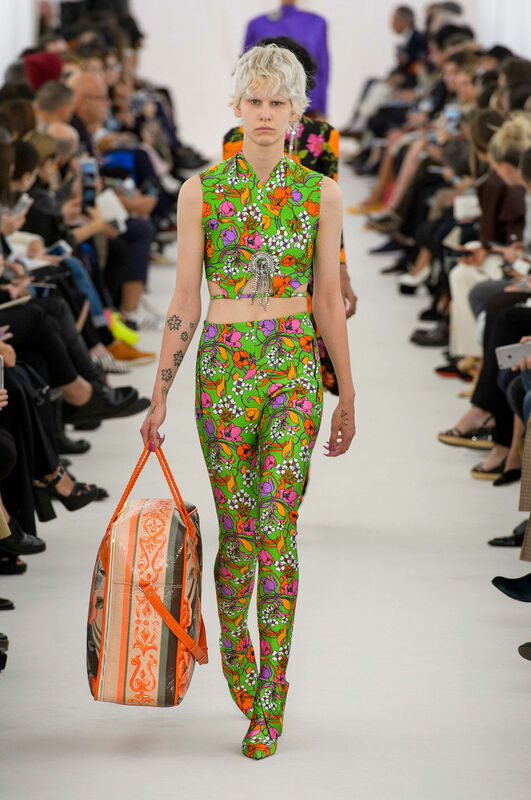 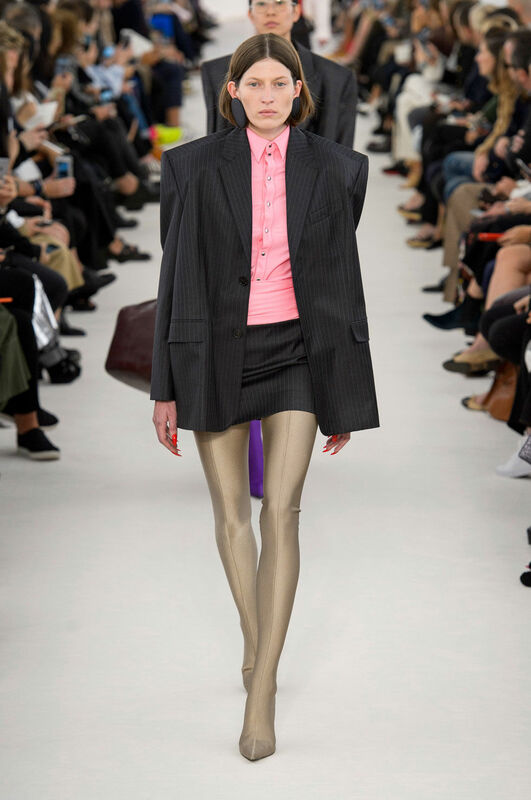 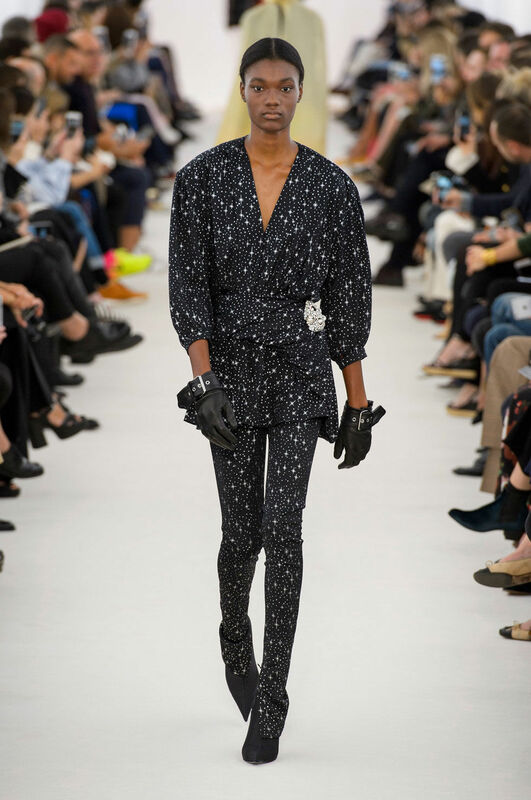 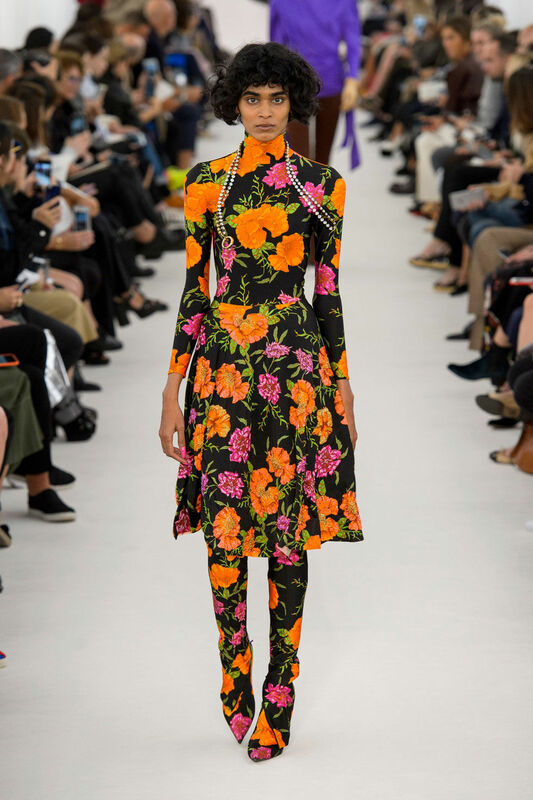 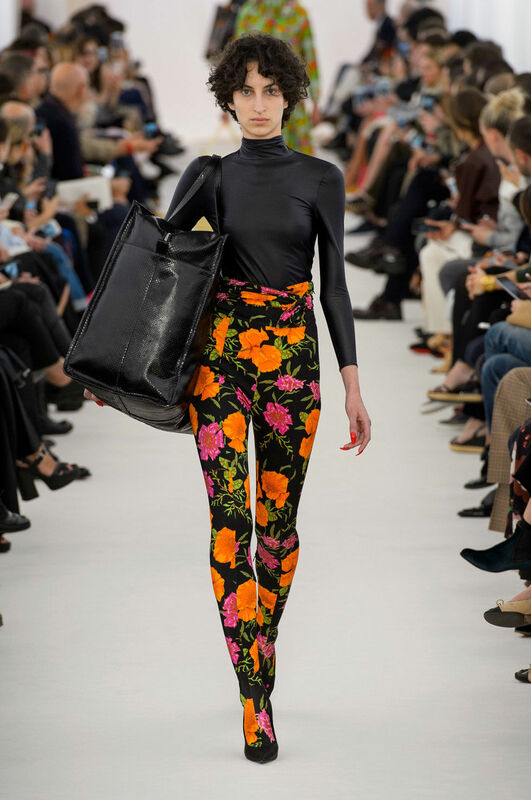 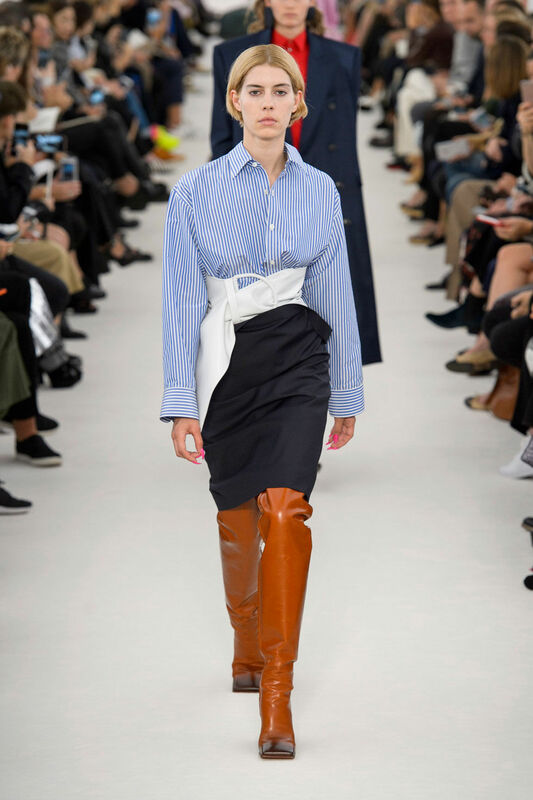 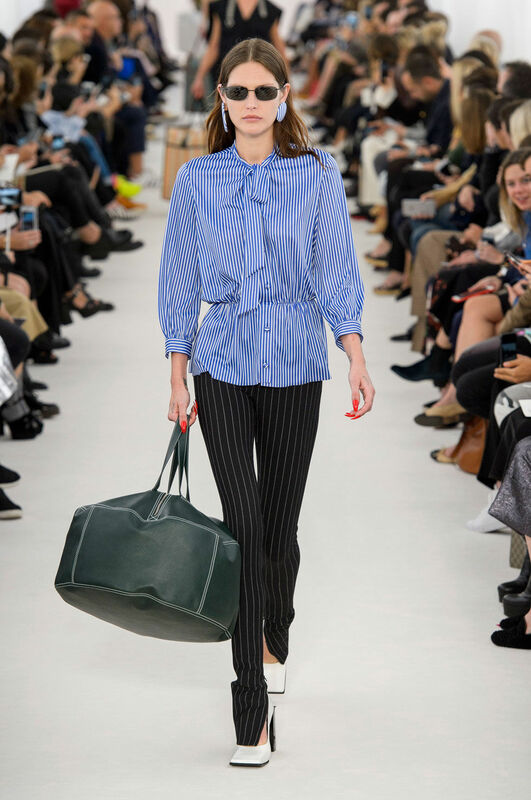 The designer covered models’ lower body with one whole fabric with one color or retro floral print, while the upper body was clothed in 80ies evening dresses but more stylish and wide suits, this was bringing focus on Balenciaga. 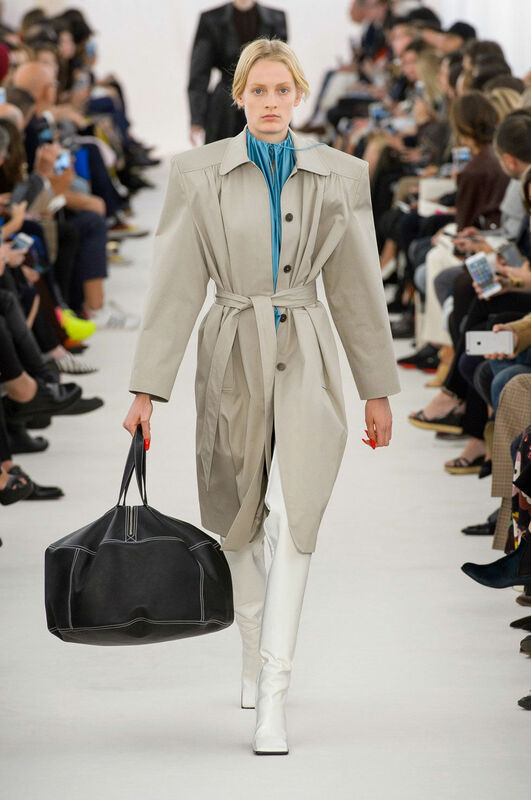 Actively were used large-size silhouettes; wide shoulders that give us feeling of strength. 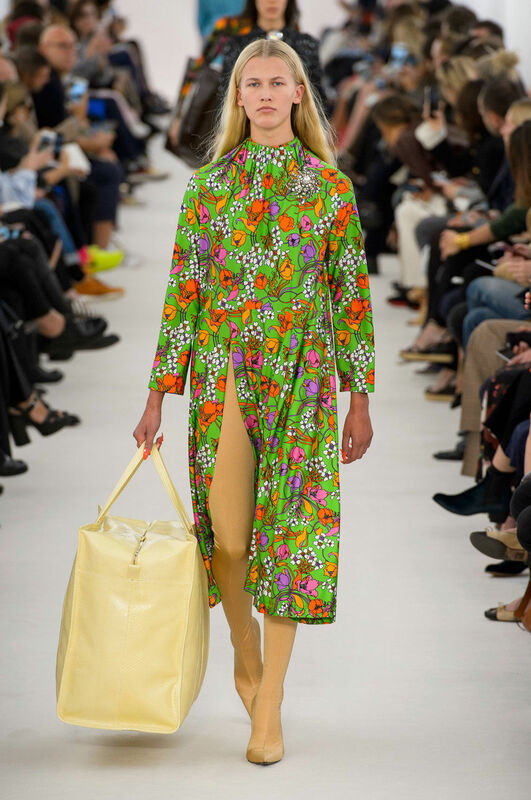 Collection has vivid colors; light green so easily replaces purple, as if that is how it should be. 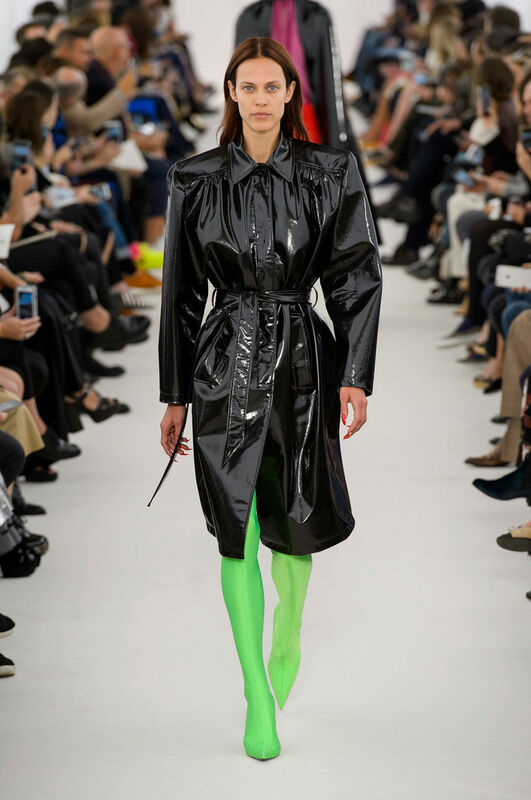 “Transforming” clothes can be detected, for example, skirts that become a dress (also hint at Balenciaga) and spandex boot/pants, which from foot to waist creates one entity. 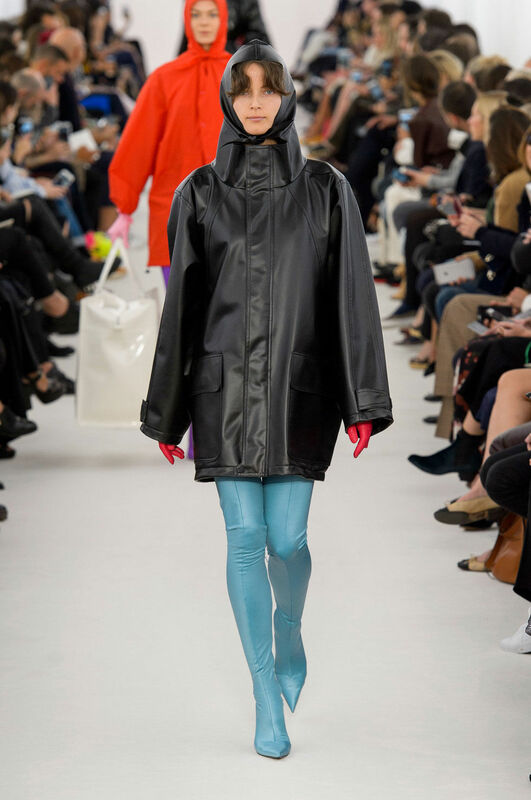 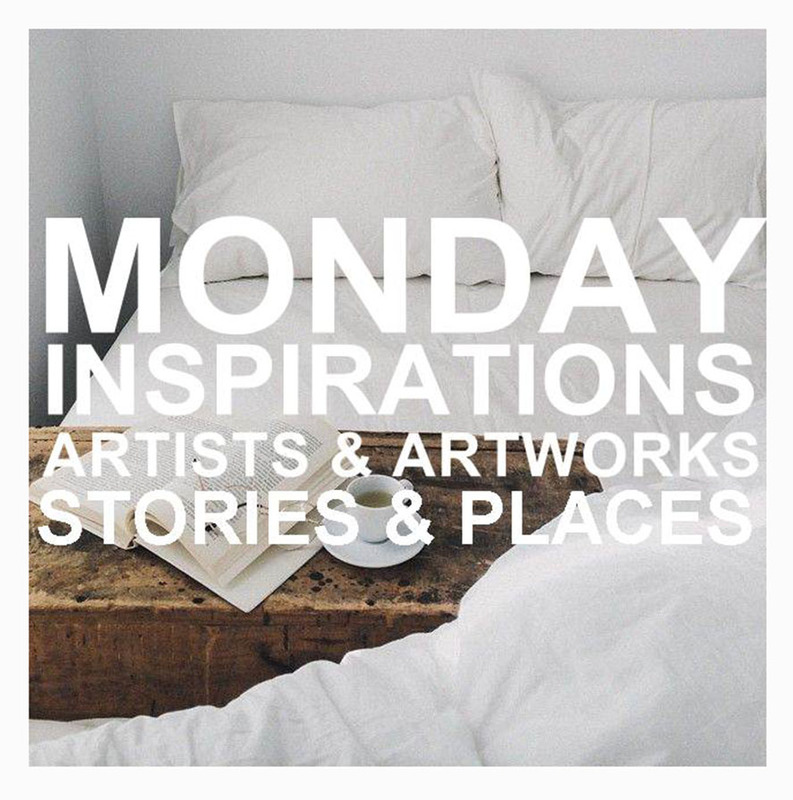 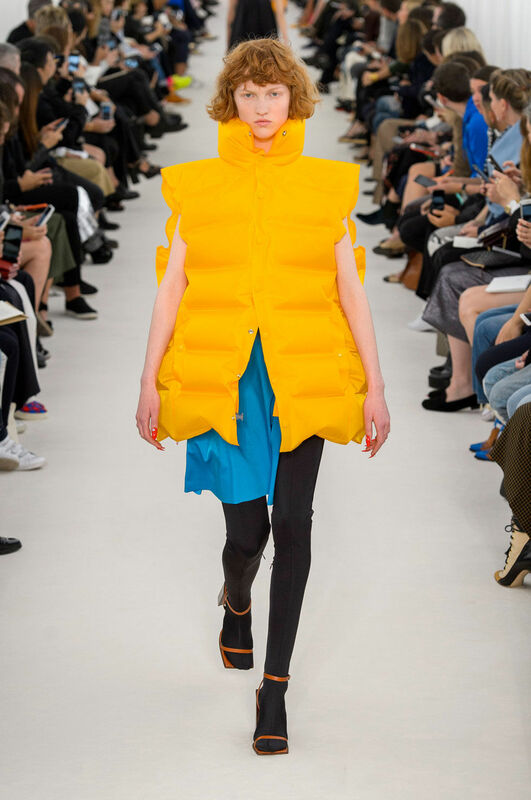 And finally, unlike other designers Demna is concerned with collection’s practical aspect too, not only the conceptual part; most of the works presented can be comfortably used in daily life.